Spring has sprung and so has Dozydou Frog! So velvety in soft green. He's ready to leap into hugging action, though he does love a nice long snooze. His soft, squishy head has sweet stitched eyes and a little nose for smelling tasty treats. This little hopper is no secret prince - he's very proud to be a funny, fuzzy frog! 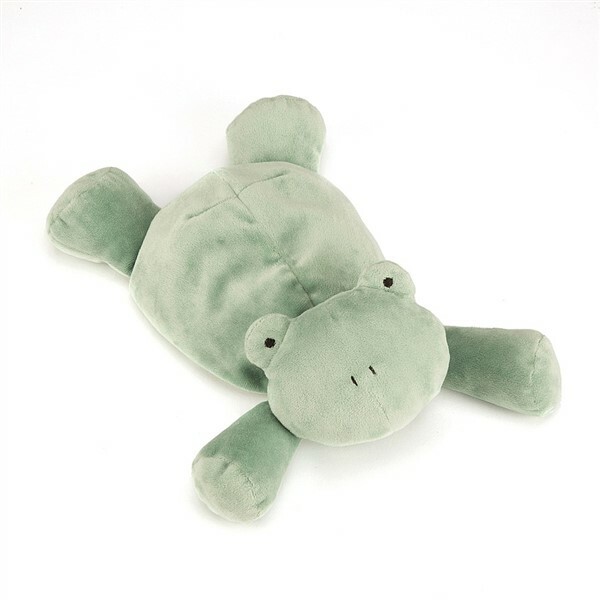 He is approx 11", is made of 100% Polyester and is suitable for kids from birth. Hand wash only. He is a perfect gift for those couples who want a non-gender specific nursery!